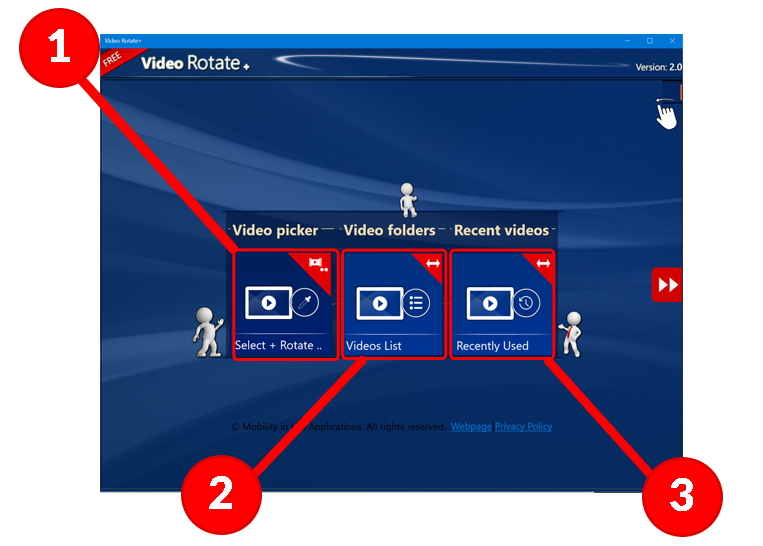 Help Center - Video Rotate+ - M.I.L. Team - 3D+ and more..
2. 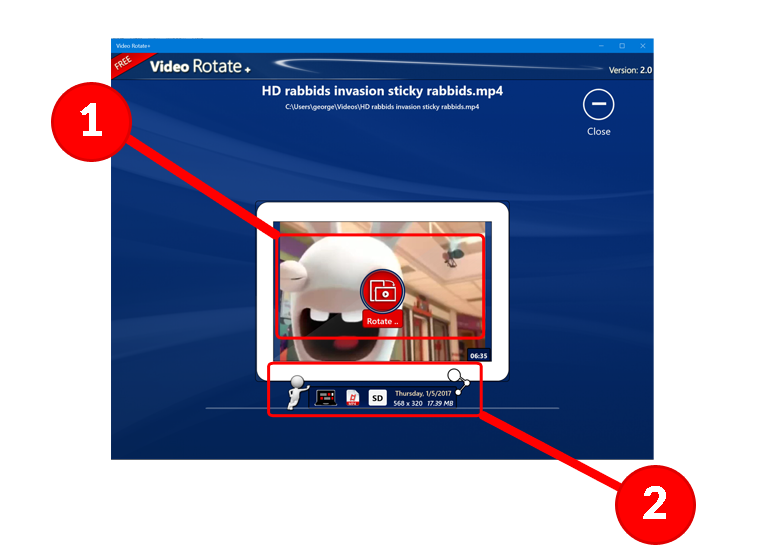 Preview the video and choose the angle you want to be rotated. 3. Click on "Rotate" and relax. That's it. Your rotated video is ready! that belong to Video Folders in a list. 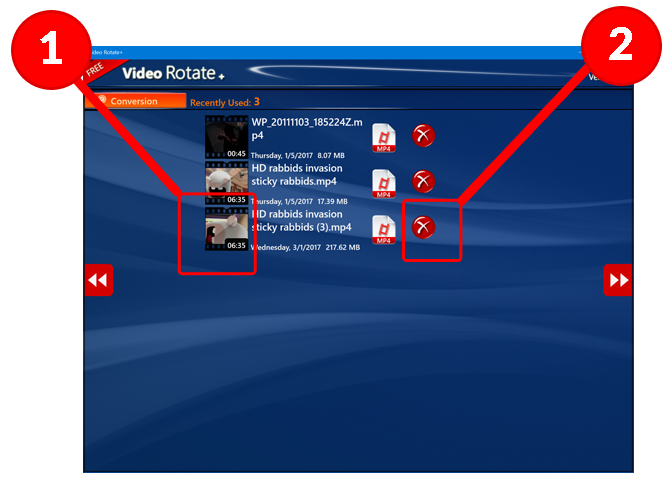 3) A quick-jump list with the videos that you have rotate with the app. if you use many media folders. 1) Rearrange the sort order of your videos. the Recently Used Videos: All the video that where converted with the app. 1) Click to start a new conversion on the video. 2) Click to remove the video from this list. Pop-Up Video View: A single video is selected. 1) Click to start rotation. 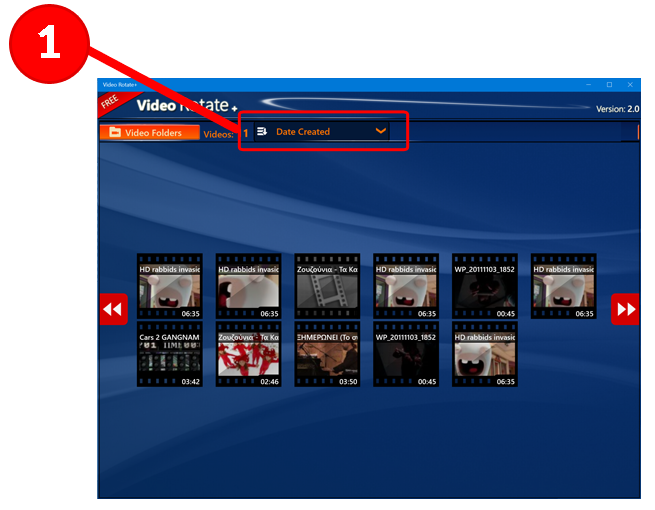 2) The video file information is displayed.